In the ’90s, Nicktoons and Nickelodeon gameshows were all the rage. I personally spent many a Saturday afternoon binge-watching my fair share of cartoons like Doug, Rugrats, and Aaahhh!!! Real Monsters, as well as gameshows like Nick Arcade and Nickelodeon GUTS, dreaming of the day when I might be athletic enough to participate (spoiler: it never happened). The best Nicktoon, though, premiered in 1996. Hey Arnold was the story of a misfit group of fourth-graders just trying to get through everyday life in a big city. The best gameshow? Legends of the Hidden Temple, if solely for the challenge of watching whether the kids who got to run the final temple would actually be able to assemble that darn silver monkey. For those of us who know “They just don’t make shows like that anymore,” life hasn’t been the same. Well, 2016 just gave us nostalgic folks the most beautiful gift, because both Hey Arnold! and LOTHT will be reappearing in our lives soon. First, according to Variety, Viacom – the company that owns Nickelodeon – will unveil in a presentation tomorrow details about a live-action TV movie inspired by LOTHT. And if that’s not enough? We’re getting a Hey Arnold! movie too. Say it with me: Oh. Em. Gee. According to Cyma Zarghami, president of Nickelodeon and Viacom Media Networks Kids & Family Group, “Interest in the Nick library was becoming louder and louder and louder” once fans of Nickelodeon’s ’90s programming (HI!) started becoming more active on social media. The plot of the LOTHT movie, whose release is planned for late 2016, will revolve around three siblings whose lives depend on their ability to overcome a series of obstacles. 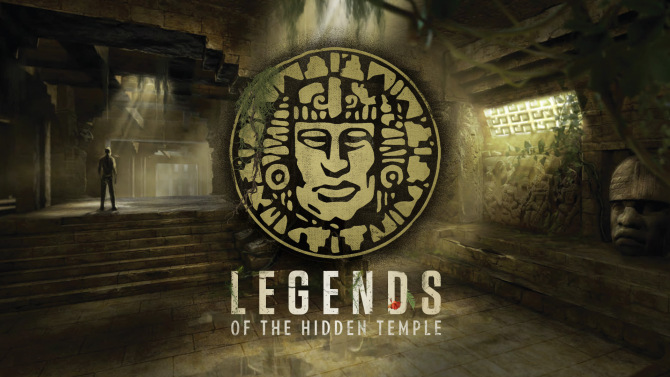 It will also feature appearances by some of the original show’s elements, such as the Steps of Knowledge, animals that the show’s teams were represented by (e.g., green monkeys, silver snakes), and of course the iconic giant talking stone head, Olmec. Whether adventure-loving, maybe-too-upbeat-for-his-own good host Kirk Fogg will cameo remains to be seen, but our fingers are crossed. As far as the Hey Arnold! movie goes, we already know it will pick up where the series left off and we’ll finally get some answers about what happened to Arnold’s parents. Not much else has been revealed at this point, except that it’s going to be in two parts and that we’ll have to wait until 2017. But considering we’ll have LOTHT to keep us busy this year, we can wait. Cheers to the power of the internet. We can’t wait to geek out like it’s the mid-1990s again. Now excuse us while we compile our TLC-laden playlists on Spotify, build our own Helga Pataki-worthy closet shrines, and brush up on our silver-monkey-assembling skills until later this year.